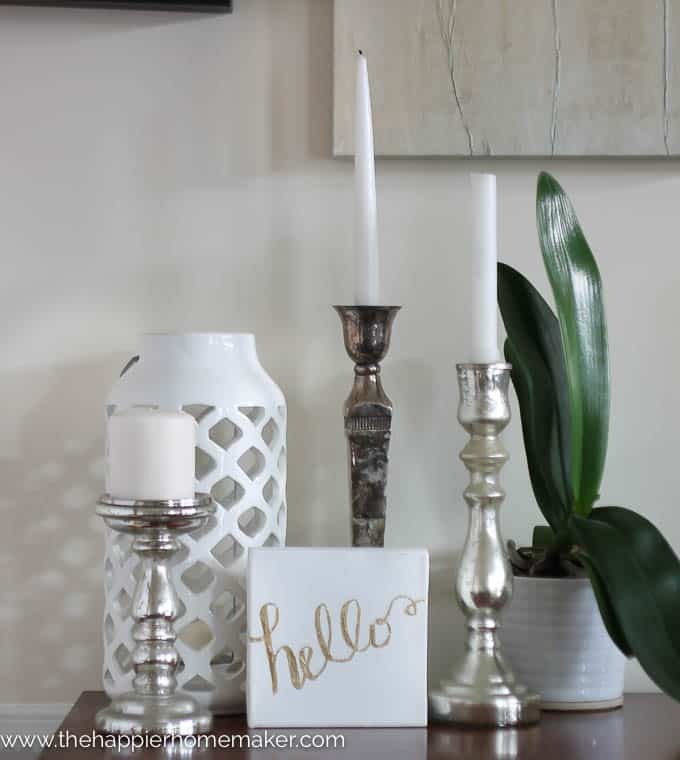 A few weeks ago I confessed to you all that I had not been feeling the “DIY” vibe much since moving to our new house last year…whether it’s being in a rental or just being tight on space, I’ve been struggling with motivation to create or decorate much. 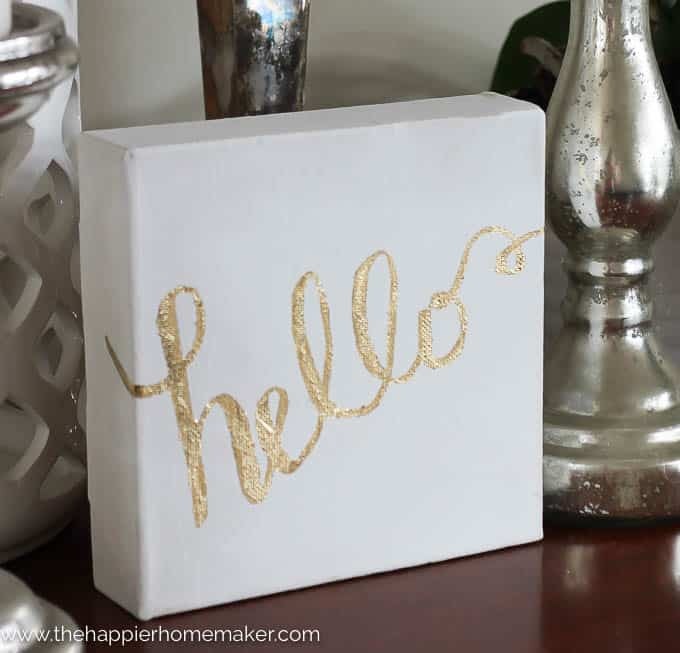 I decided to start small a few days ago with an easy DIY Gold Leaf Canvas to get those creative juices flowing again! You all know me-I love anything gold, so I was tickled with the way this turned out! 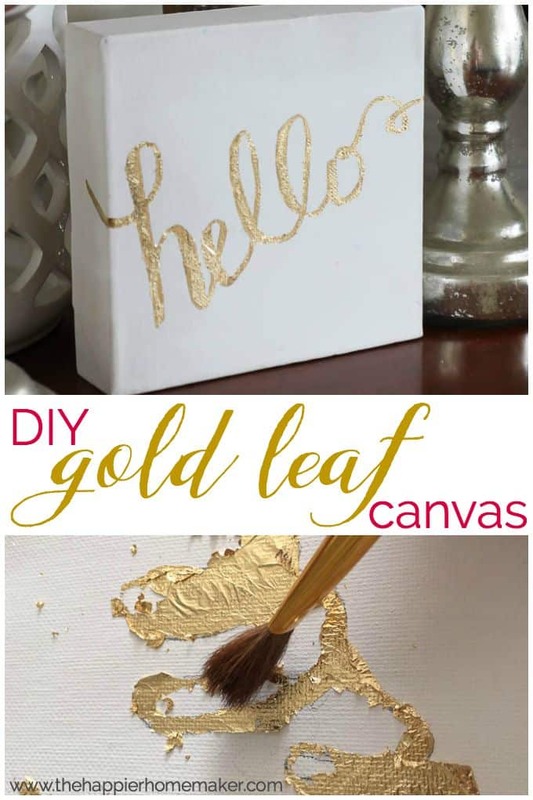 I’ve had a lot of readers tell me that they are nervous to try gold leaf and you don’t need to be-this is the perfect project to get started with it! The first thing to do is pick your design. 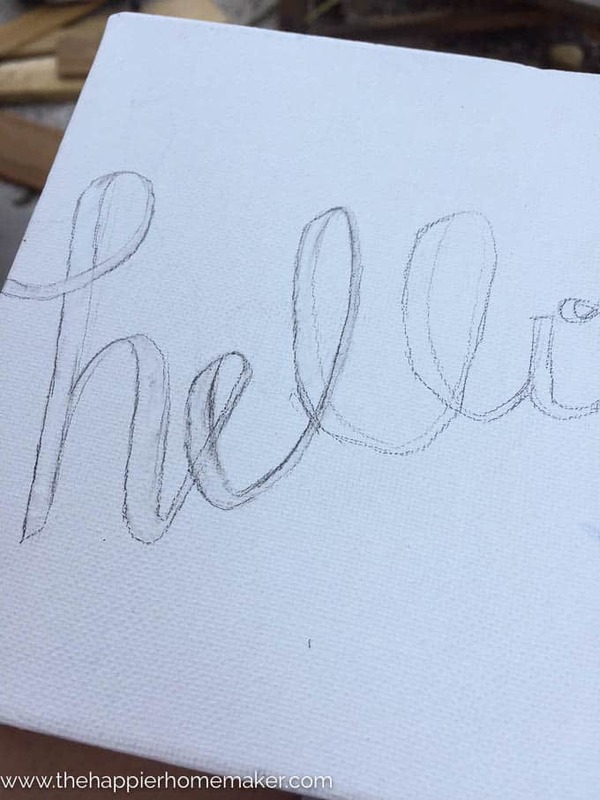 I did a google image search of hand lettered fonts and free-handed the “hello” design. If you aren’t comfortable drawing your own you can print out a design and trace it onto the canvas. Try to use a light hand so it won’t be difficult to cover with the adhesive. 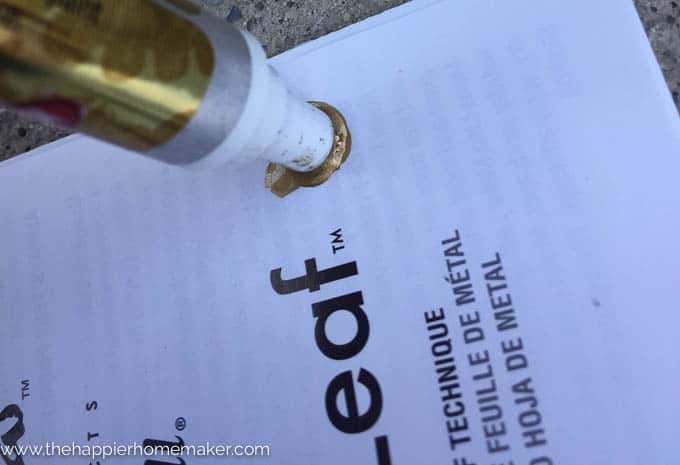 Make sure you really press the gold leaf into your adhesive thoroughly. 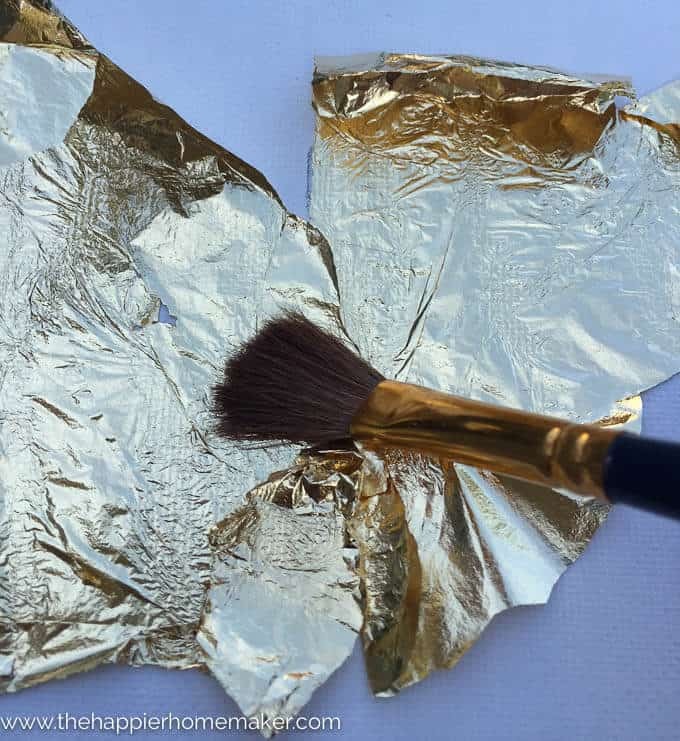 When it’s all adhered, use the same soft brush to begin brushing away the excess gold leaf. Be gentle in this step and don’t freak out if your lines show or it’s not perfect-I’ll show you how to fix that in a moment! As you can see after this step I had quite a bit of touching up to do! 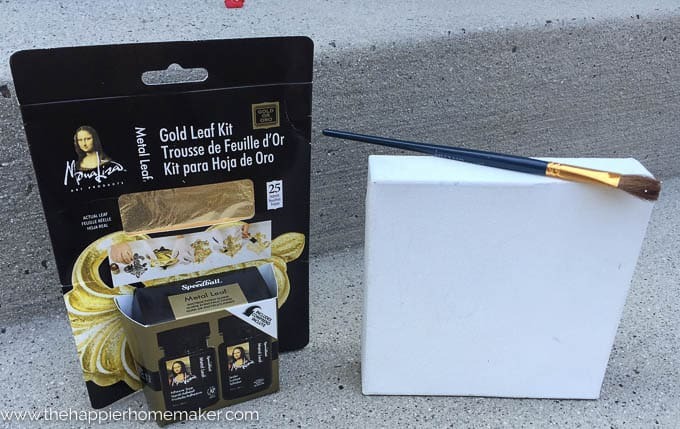 I went through my craft supplies looking for the perfect match for the leaf to fill in those edges and cover those lines. 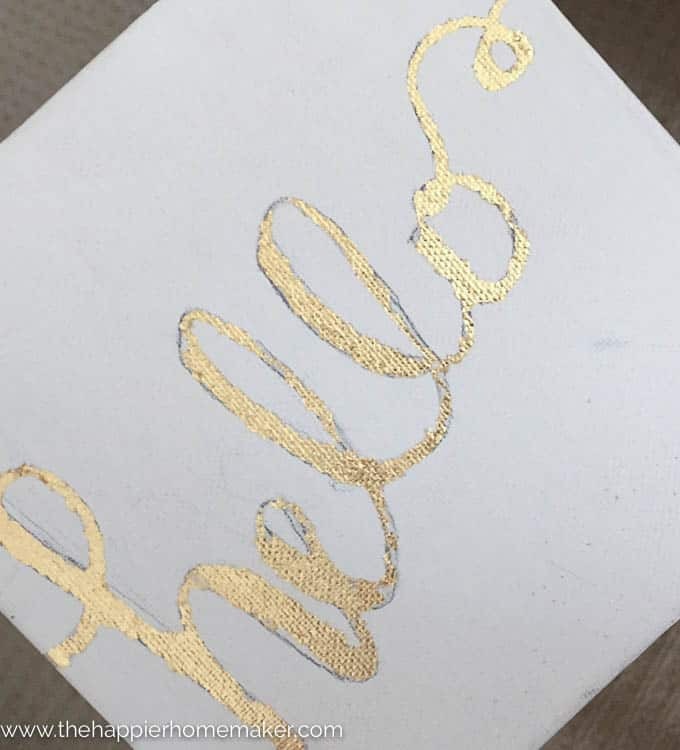 My Krylon gold leaf marker fit the bill just perfectly! I pressed the tip of the marker down (on my kit instructions as you can see!) until it released a pool of paint, then I used the fine tip paint brush I used earlier for the adhesive (after washing of course) to fill in any imperfections in my design. That was it! My canvas was finished and it was the perfect little addition to my dining room buffet! 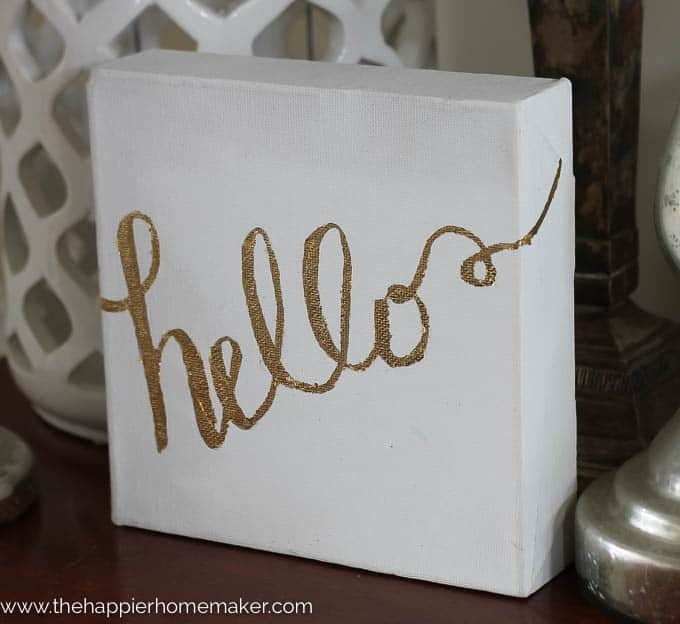 I obviously love metallics and this little canvas adds a little personality to our decor! Plus it was so easy I was able to make it outside while my kiddos rode their bikes! 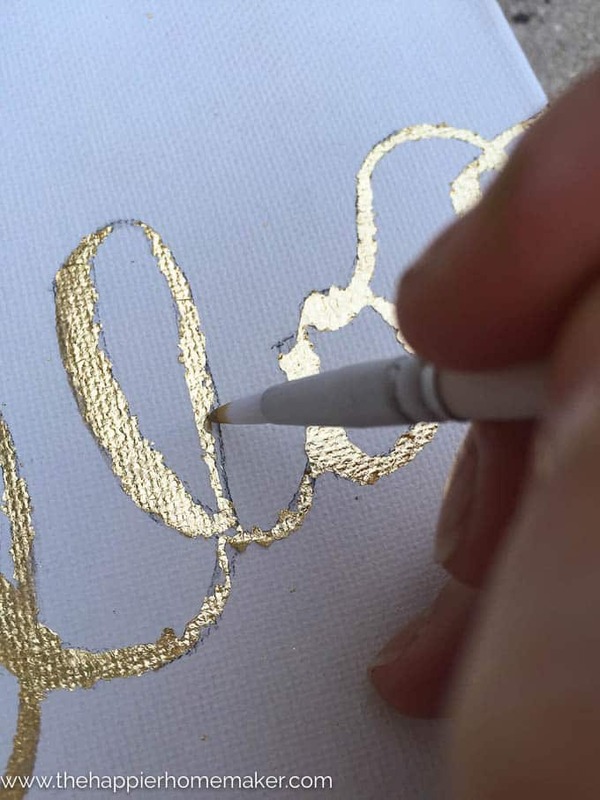 Have you tried gold leafing yet? 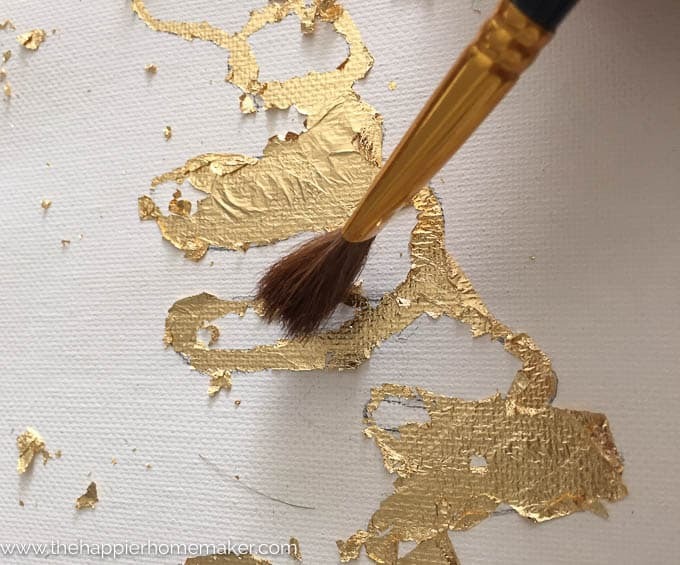 What would you like to gold leaf onto a canvas? i loved this at hello! ?I have worked quite a bit with gold leaf and also paint pens. So I am wondering if the letters were first outlined with the paint then the size and leaf applied if it might be easier. Thoughts? I’ll have to try it next time Pamela! This is very pretty and sounds easy.